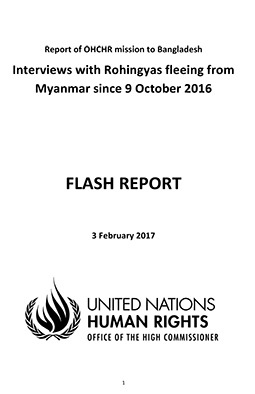 The 444-page report provides the most detailed description of the Rohingya massacres by the Myanmar authorities, which has left more than 10,000 dead and have driven 700,000 Rohingya into neighbouring Bangladesh. 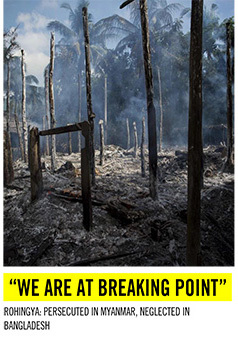 The report exposes a high degree of planning and preparation and genocidal intent by the Myanmar military in eliminating the Rohingya from Myanmar and also blames Aung San Suu Kyi, State Counsellor of Myanmar, for not speaking up against the Rohingya persecution. The Myanmar government, instead of repentance, arrested two Reuters journalists for reporting on crimes against Rohingya and then sentenced them to 14 years imprisonment. 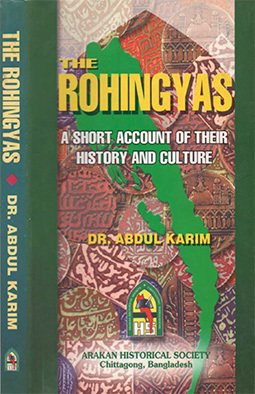 The Myanmar representative at the UNHRC said that the report was biased. Two repatriation attempts following the last wave of expulsions in 2017 have fallen flat. Not one Rohingya, fearing for their lives, has returned to Myanmar following the Bangladesh-Myanmar agreement. Similarly, a UN memorandum last May with Myanmar has failed to take off in the absence of guaranteeing citizenship to Rohingya. Sajjad Ashraf served as an adjunct professor at the Lee Kuan Yew School of Public Policy, National University of Singapore 2009 to 2017. He was a member of the Pakistan Foreign Service 1973 to 2008 and served as Pakistan’s Consul General in Dubai during the mid-1990s.